If you don’t capture every minute detail of your life and post it on social media, did it even happen? That’s one question that comes to mind when you first get a look at the RokShok – a new, highly Instagrammable way to propose to your partner. 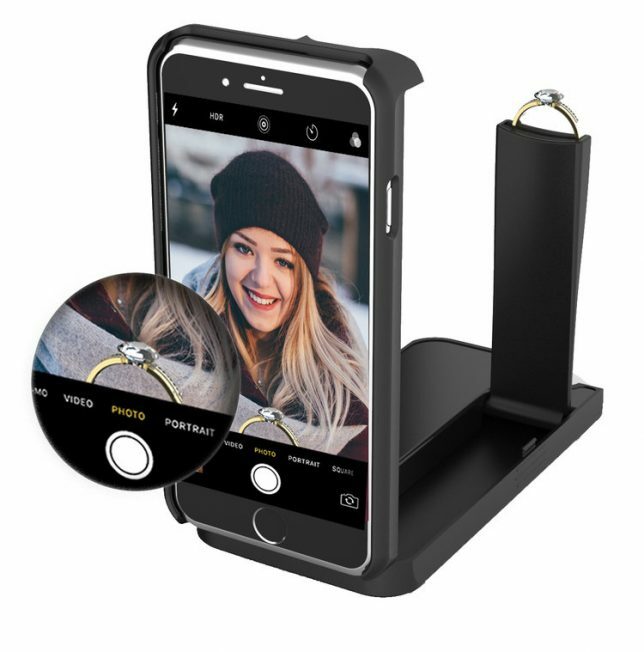 This (hopefully) one-time-use $40 smartphone case puts the engagement ring you’ve purchased on a pedestal right in front of your phone’s camera so you can capture whatever facial expressions pass over his or her face. Ah, just the ring presentation we’ve all dreamed of since we were kids, huh? With roughly the profile of a phone case with a built-in backup battery, the RokShok is relatively incognito until you get to your chosen location, drop down on your knee and flip the case open to reveal the ring you’ve mounted inside. Then, both the ring and the subject of your proposal are right in the frame for a point-of-view shot of the action. Hopefully you won’t accidentally trigger it to open at the wrong moment, like when you’re walking over a sewer grate. Once you propose, you’ll either have a memory you and your future spouse will want to look fondly on for years to come (and post all over Facebook at every opportunity, along with your future baby photos, meals, vacations and blurry sunsets) or a spectacularly masochistic play-by-play of the moment your heart was broken. 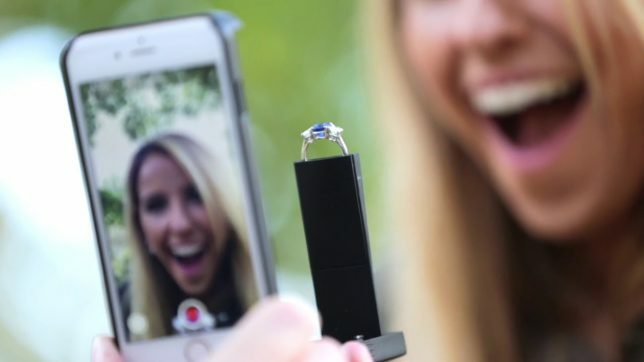 Just be sure to give your special friend a moment to recover from their confusion about this phone-centric proposal before you make assumptions, start crying and throw the ring into an adjacent body of water. Clearly, this kind of proposal isn’t for everyone. Not all of us want technology inserted prominently into our most special moments. But for others, it’s a cool way to document a life event that can be all too fleeting. It’s available for preorder on the RokShok website.